This article will help you transfer large WordPress files to your WordPress Hosting. 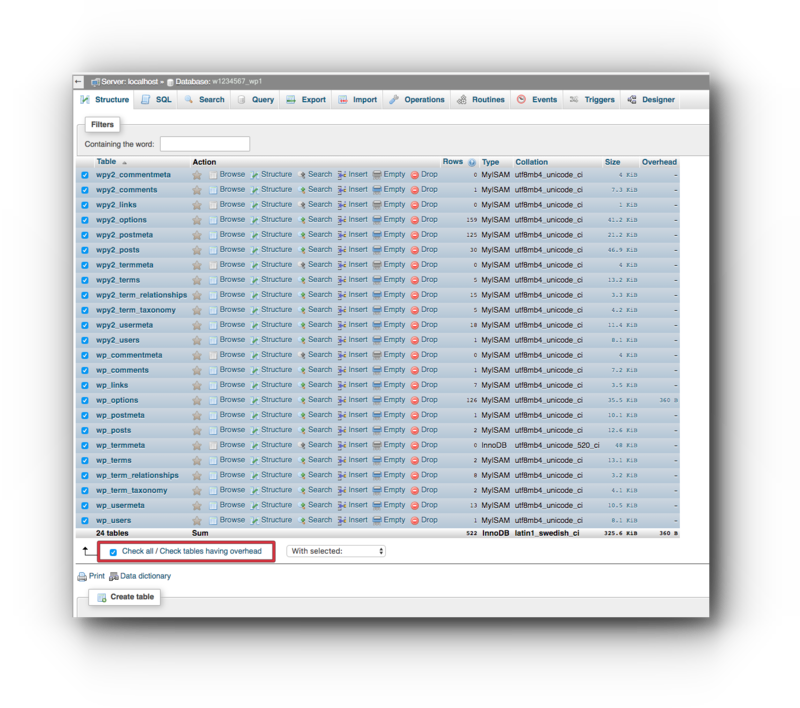 If you are using Files Manager in the cPanel, you can download large files. 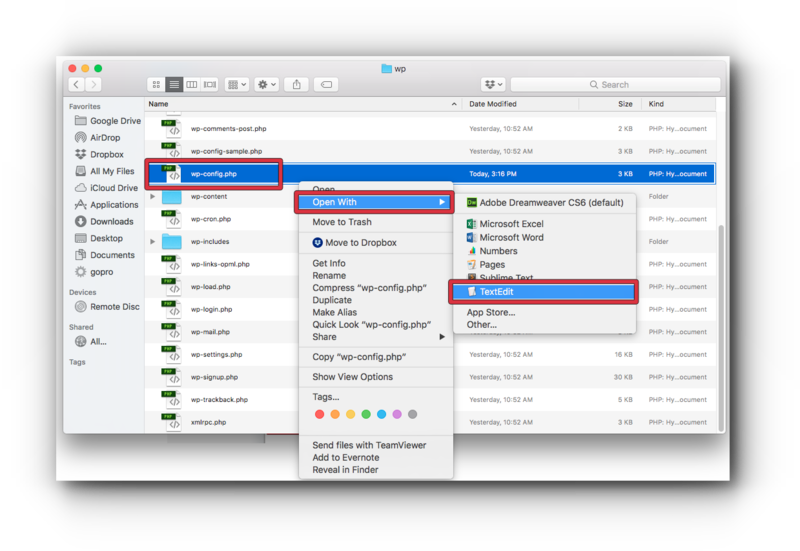 Read and follow our How to download large files guide. 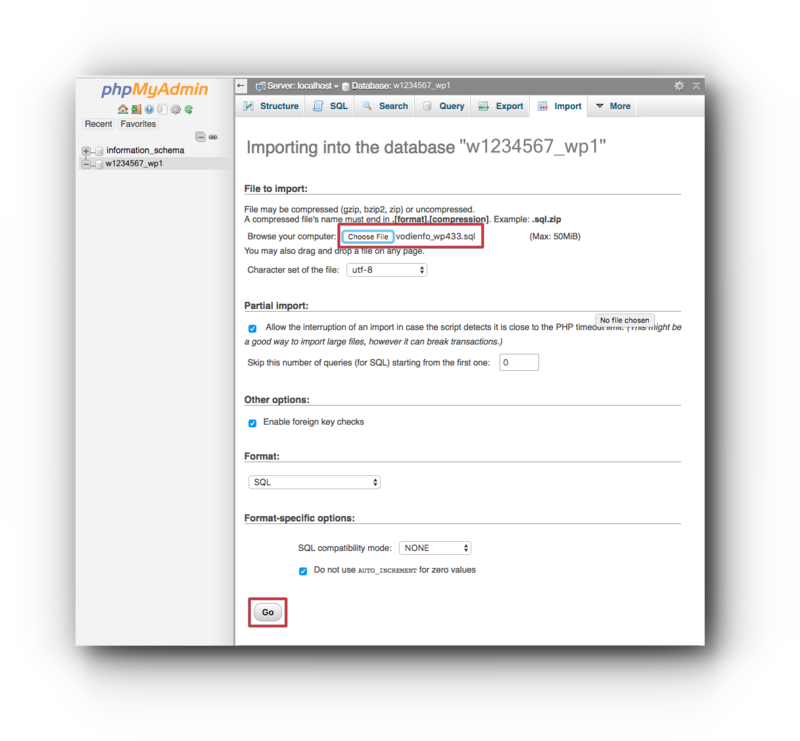 You may export your database by following the instructions from our Export/Import database guide or you may also contact your Hosting company to assist you with the export. Step 1. Copy your SFTP credentials. Step 2. To view the password, click Show. Step 1. 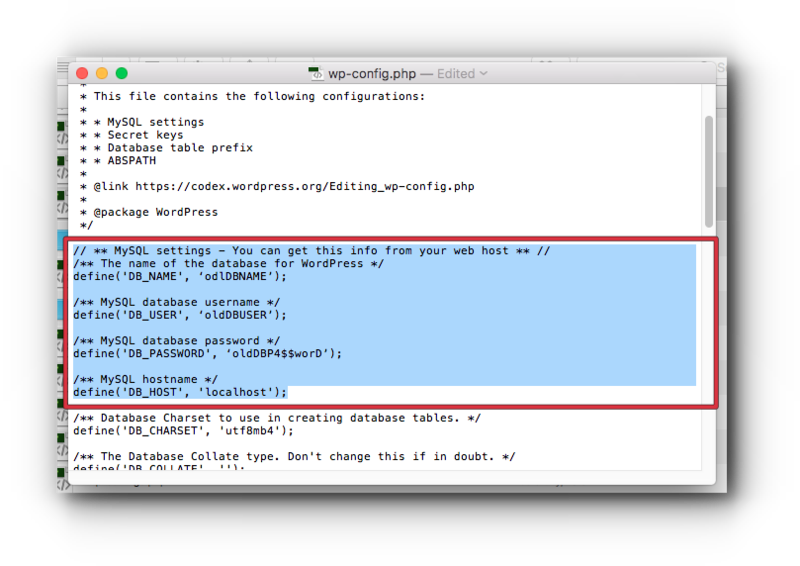 Access your WordPress files, download and open wp-config.php file. Step 2. 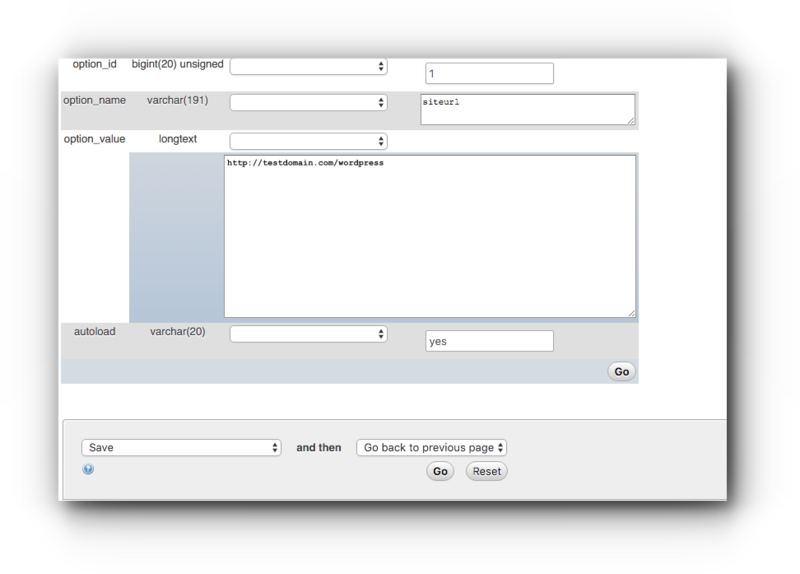 Open the wp-config.php file using a text editor or notepad. Step 4. 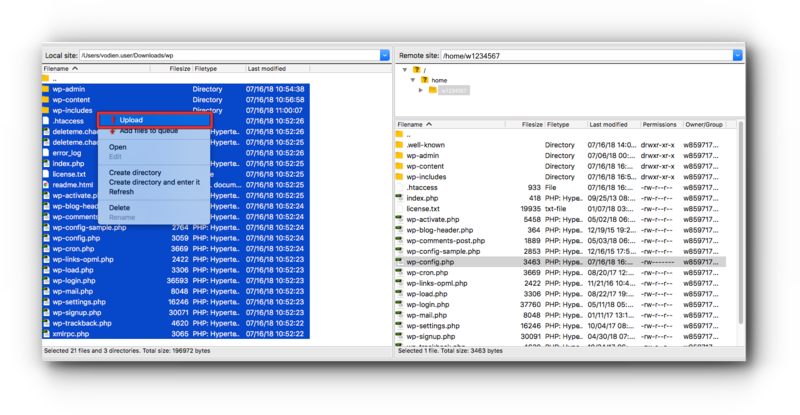 Access your WordPress website backup files and locate wp-config.php. Step 5. 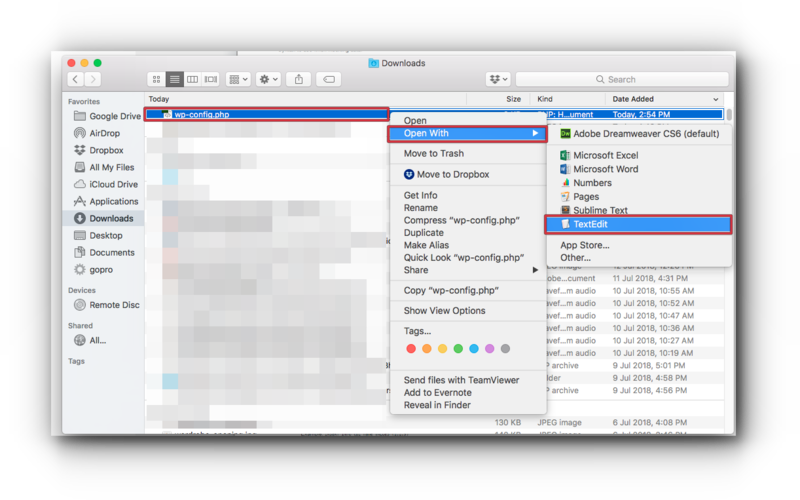 Open the wp-config.php file using a text editor or notepad. Step 6. 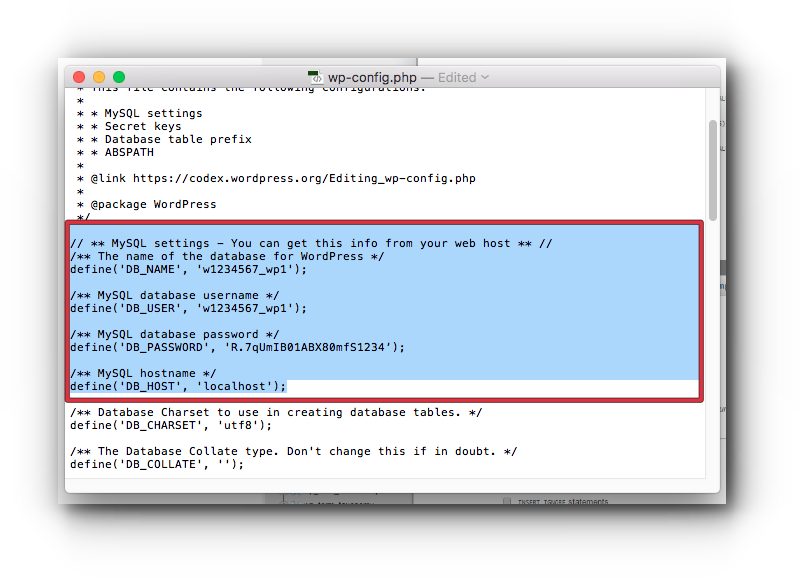 Replace the database details with the one from your WordPress Hosting wp-config.php file and save it. Step 1. 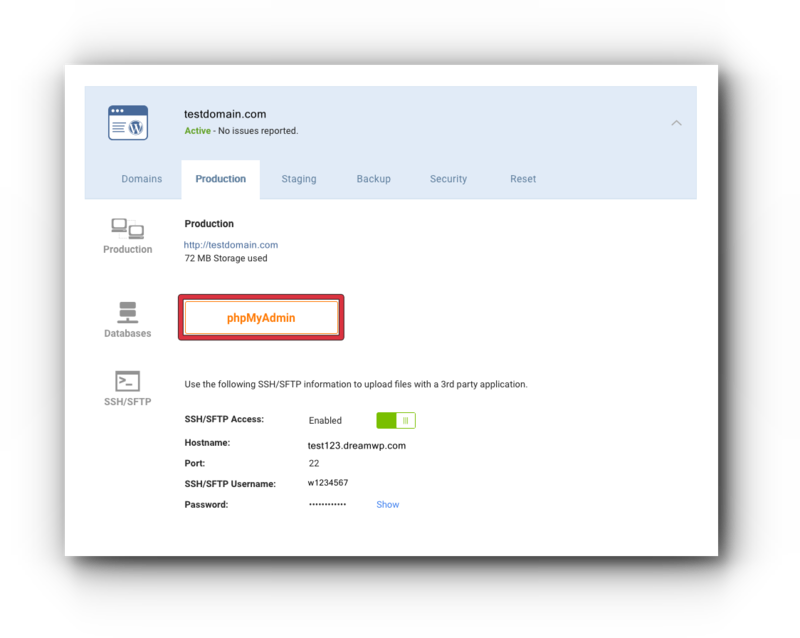 While connected to your SFTP, access your WordPress backup files and upload. Step 2. 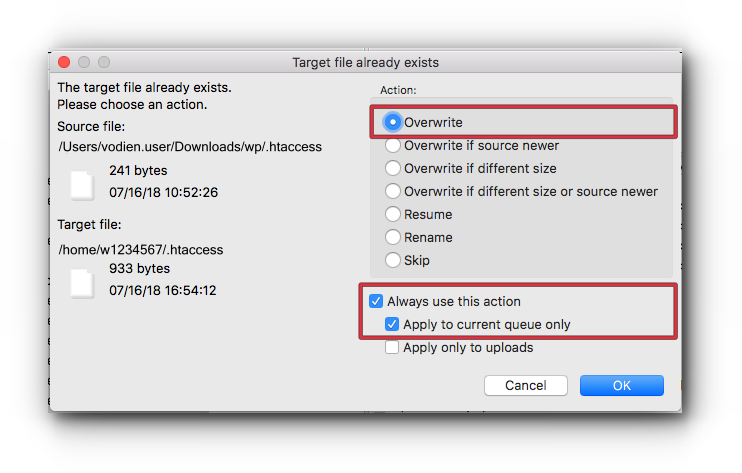 Overwrite all WordPress files from the remote site. Step 3. Wait for the upload to finish. Step 1. 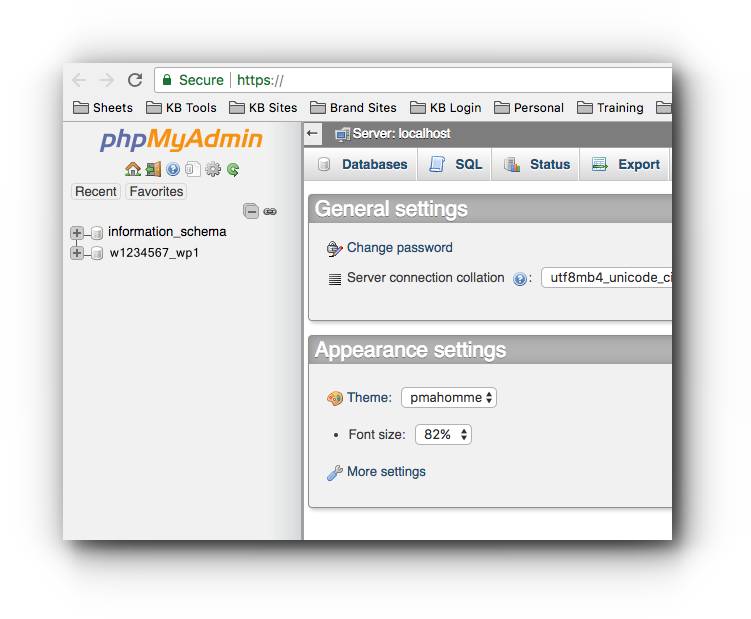 Access phpMyAdmin from Account Manager. Step 2. 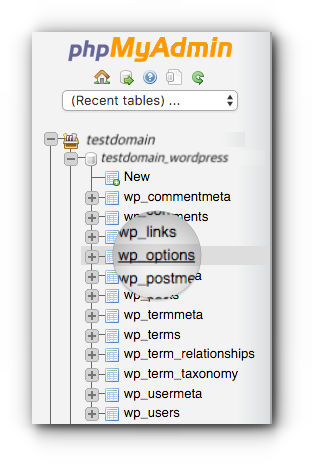 A new tab will open which will redirect you to your WordPress database. Step 3. Remove all existing tables. ( This part is optional. If you do not want to remove the existing tables, proceed to Step 6.) 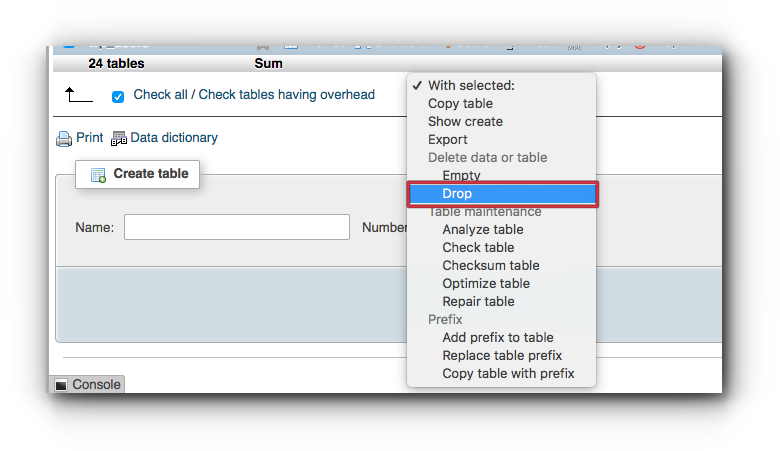 Select All tables. Step 4. With Selected, select “Drop”. Step 5. Click “YES” for Do you really want to execute the following query. Step 6. Click the database name and click Import. Step 7. Choose the SQL backup file and click “Go”. Step 8. Once done importing the database, access your WordPress site. 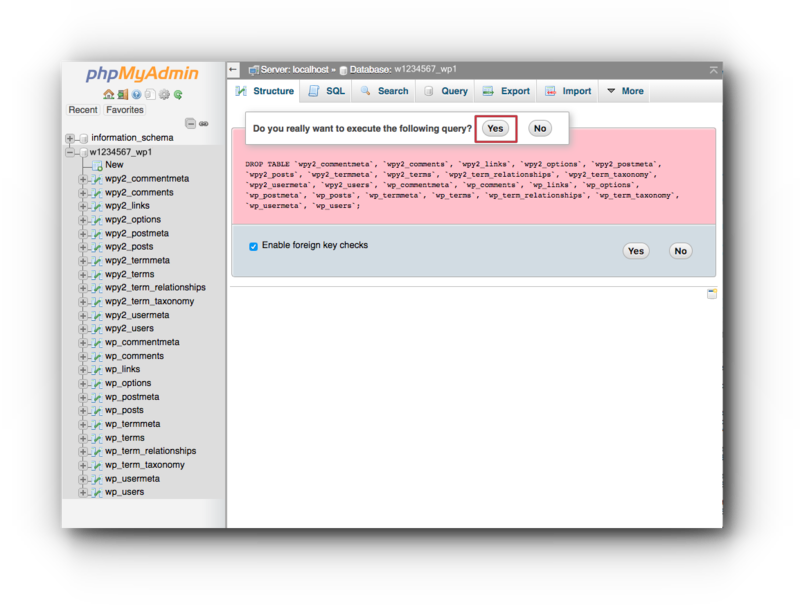 If in case you will see an error message when you access your WordPress website, kindly double check the database configuration details and make sure they are all correct. If you are using a different domain name, make sure to update the site URL and home URL in the database. Step 2. Look for the siteurl and home in the option_name. Step 3. Click on Edit button or the pencil icon. Step 4. Enter the new URL in the option_value field and click on Go. Make sure that you change both the siteurl and home. Do not hesitate to contact our support team if you have further questions.